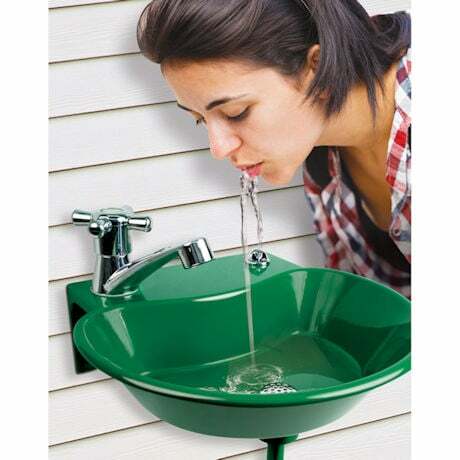 The Outdoor Sink is the easiest way to wash soil or mud offyour hands without having to remove muddy boots to go in the house. 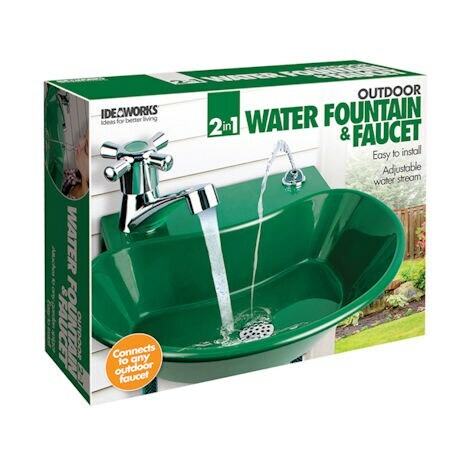 Super lightweight sink features a faucet for washing, plus a convenient fountain for drinking. 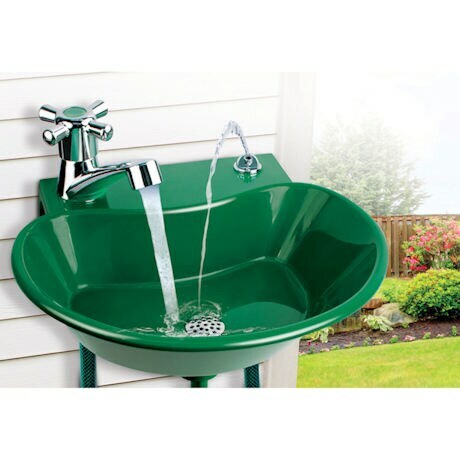 The Outdoor Sink is an ideal way to keep kids, (and adults), from soiling your home just to get a drink of water or wash hands. Comes with connectors to hook up to your outdoor spigot as well as a drain hose.11" x 10 3/4" x 7".